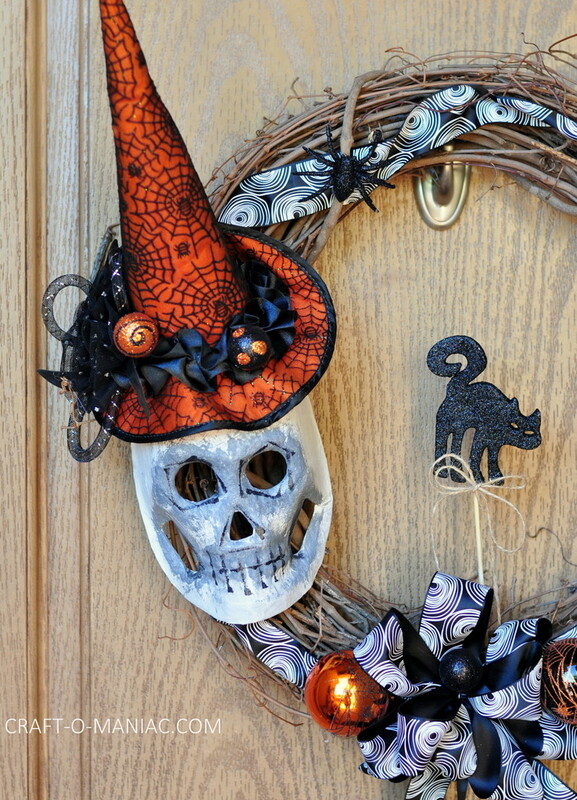 Hi friends, yesterday my mom came over and we made some Halloween wreaths, “so fun!” Today I am sharing my moms DIY Witch Hat and Mask Wreath. She made two of them for her two double doors to her home, but I am just sharing the one. I think its so darn cute and a bit whimsical too. 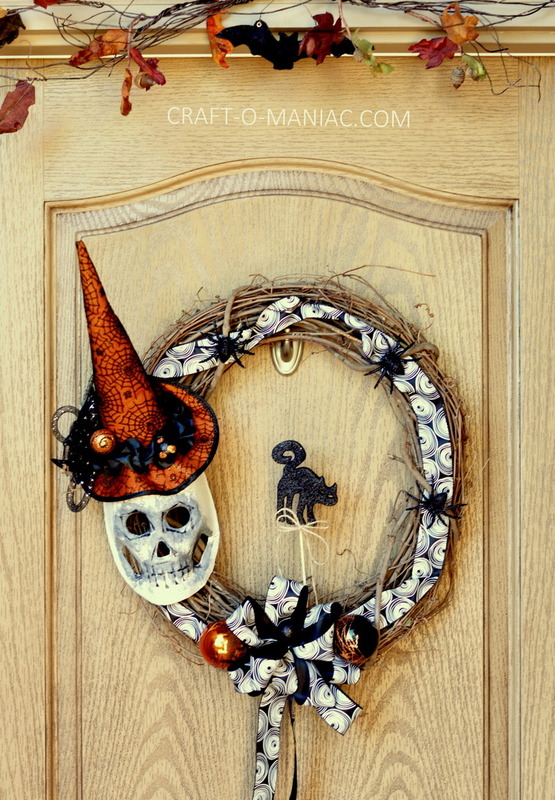 Everything that she used for this wreath was found at Michaels. How To: For the mask she painted it white and then added some gray around the eyes nose and mouth. 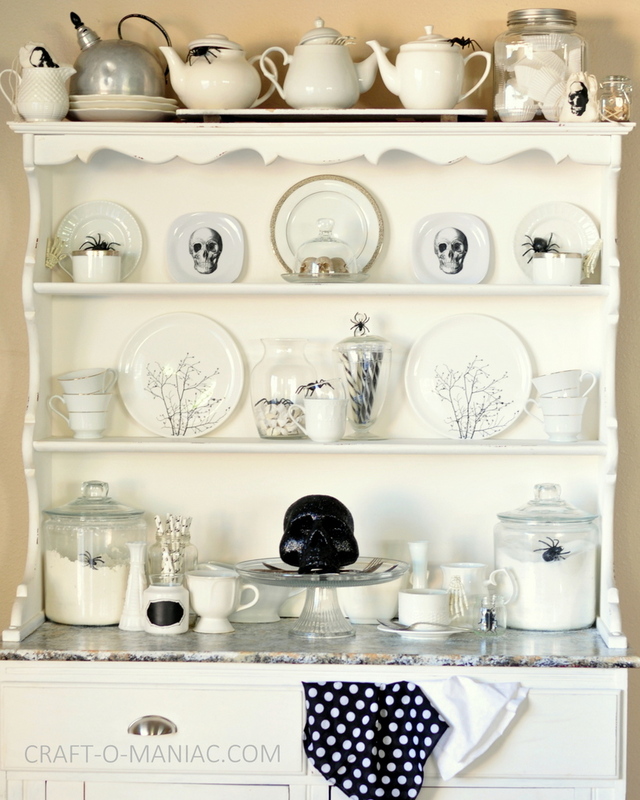 She blotted off excess paint to make it blend a little better with the white paint underneath. Then with the very top of a sponge brush she used some black acrylic paint to go around the eyes, nose, and to outline the teeth. The witch hat was a pre-made witch a built in headband. 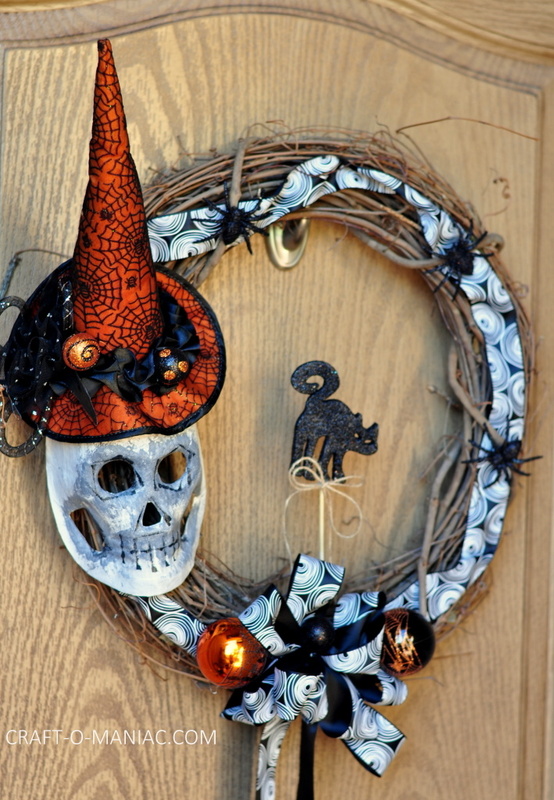 She wired the witch headband onto the wicker wreath. She hot glued a few extra sparkly balls to the hat. Then hot glued down the mask. She wove ribbon through the wicker wreath, added the handmade bow, extra sparkly bulbs to the bow, hot glued down some glittery spiders, and finally added the pre-made sparkly cat stick. My family and I always go to grandmas and grandpas for Halloween for homemade chili and then trick or treating. I can’t wait to see her two wreaths on her front door(s). 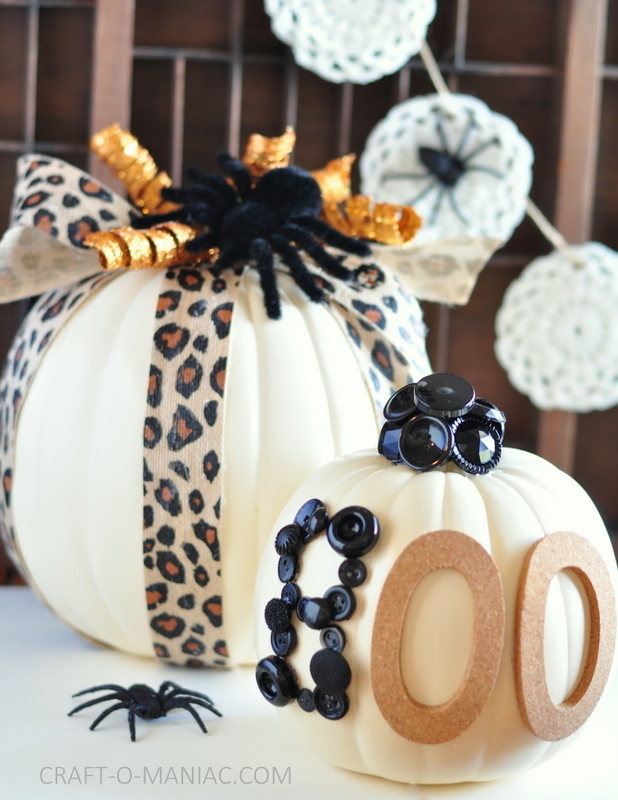 As well as some cute embellished faux pumpkins Here. Thank you for stopping in. 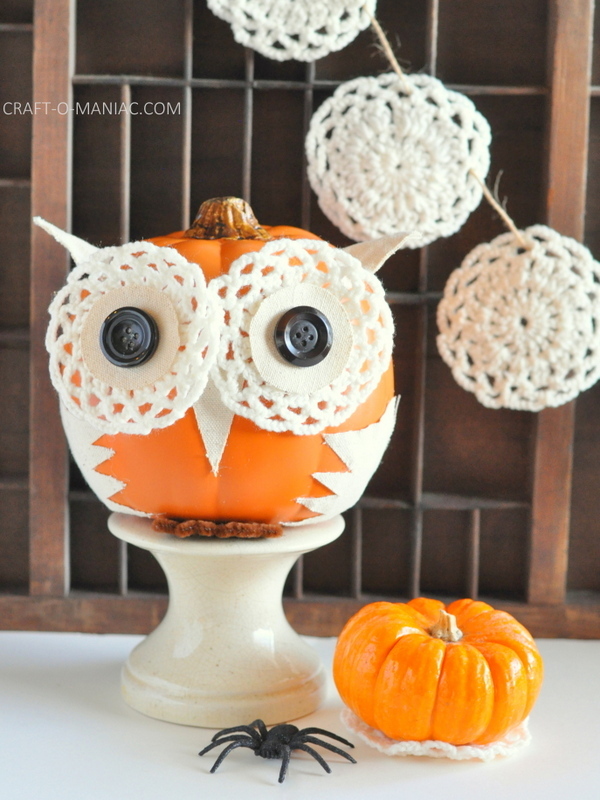 I hope these ideas have inspired you with your Halloween creating and decorating. 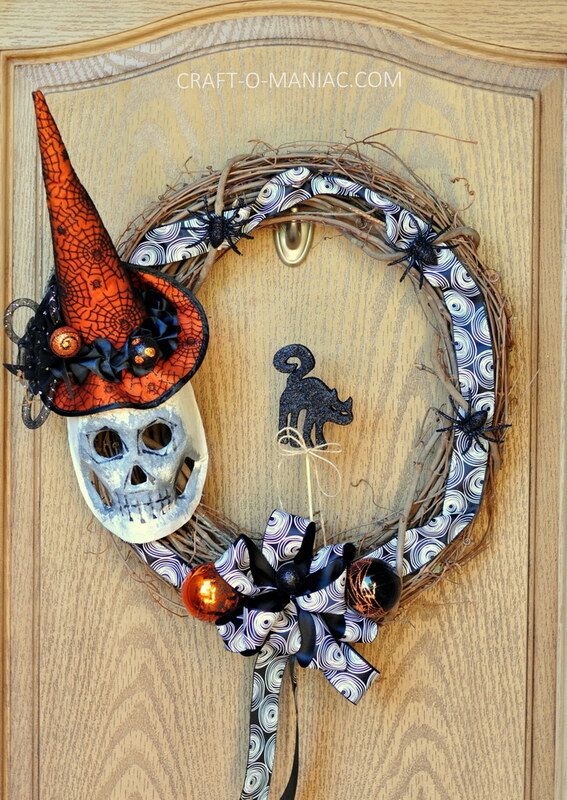 Stay tuned for my “Halloween Vintage Frames Wreath!” I will have it up later this afternoon. 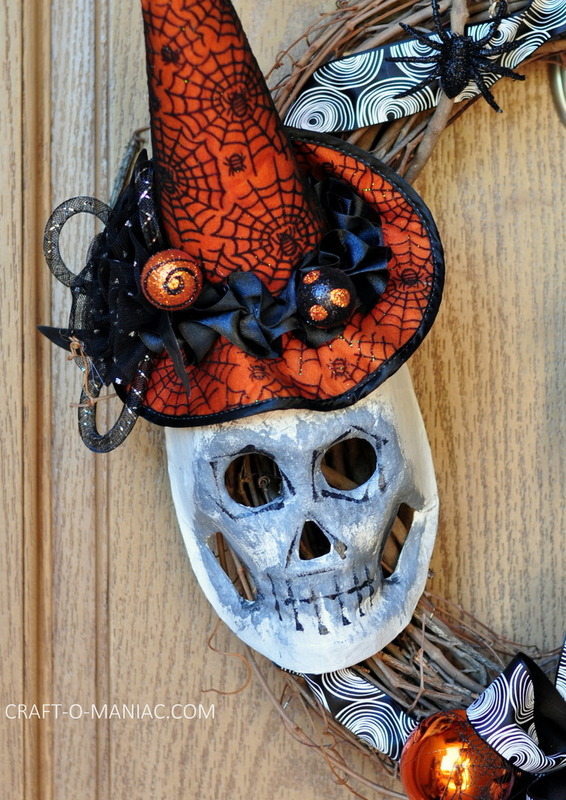 I love the witchy hat on the skull! Cute! Pinning!